The delivery truck on your block might have some fresh competition. Mercedes-Benz said Wednesday that it will invest roughly $560 million over the next five years in a futuristic electric van that features delivery robots and drones. Mercedes-Benz is partnering with Starship Technologies, the maker of six-wheeled delivery robots, on the project. The van is designed to ferry its robots and drones from neighborhood to neighborhood to make deliveries. Starship Technologies likens Vision Van to a "mothership," which holds up to eight ground robots. 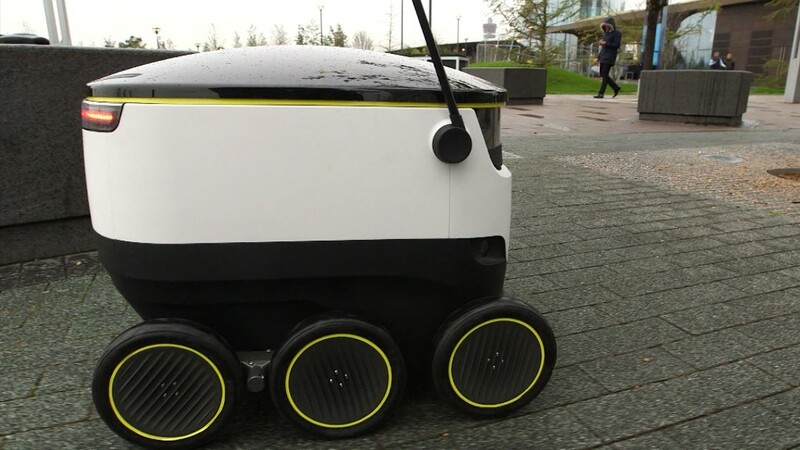 The idea is that the mothership will park in a neighborhood and deploy the robots to make nearby deliveries. After the robots have made their deliveries, they will return to the van, drive up a ramp and then be driven by a person to another neighborhood. While the Vision Van is driving from neighborhood to neighborhood, the robots will be automatically reloaded with fresh packages, which are located in bins in the van. Once the van is parked in a new location, the robots would then roll down a ramp and complete another round of deliveries. Allan Martinson, Starship Technologies' chief operating officer, told CNNMoney that vans are inefficient for completing the last mile of delivery, and his robots are too slow to drive all the way from a distribution hub. The "mothership" approach plays to the strengths of the van and the robots. The van drives where it is fastest, from the distribution center to the neighborhood. Then the robots take over for the final step of the delivery. Rather than the traditional model of a truck completing one delivery at a time, a single van can complete eight deliveries at a time. Drones stationed on the van's roof could also complete deliveries. The drones would automatically exchange their batteries and receive deliveries from the van's rooftop station. Mercedes-Benz expects the robots to make the last mile of delivery 50% more efficient. So far Starship Technologies' ground robots have covered 7,500 miles on public sidewalks in 47 cities and 12 countries. Most of those miles have been in the U.S., UK and Estonia. 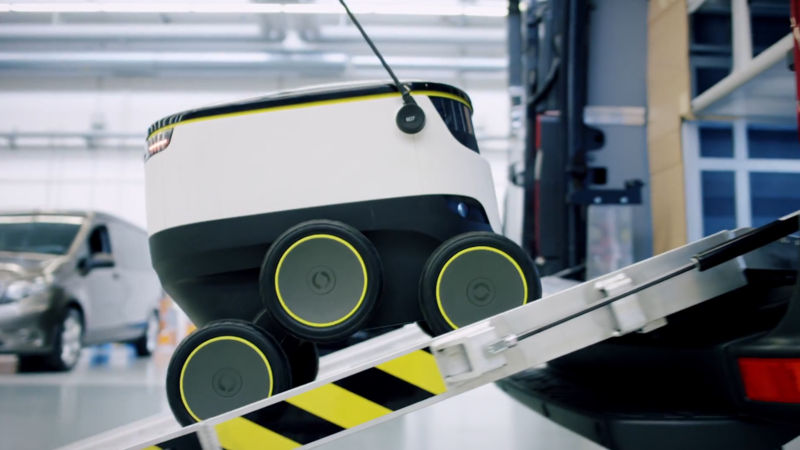 Switzerland's national mail service will start testing deliveries with the robots this month. Neither Martinson nor Mercedes-Benz have said when the average person could expect to see the futuristic van in their city. Martinson said the next step is a pilot test in a yet to be determined city. He also doesn't expect the vans will wipe out the traditional delivery model, in which a human driver drops off packages. For some tough tasks, a human touch will be required. Plus, Starship Technologies still plans to use human drivers in the Mercedes-Benz vans. "It will be a long, long time before robots will take over driving the vans," Martinson said.